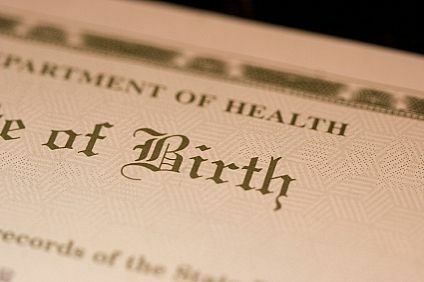 Most of us are familiar with how difficult it can be to get any vital record, never mind when you are an adoptee and seek your original birth certificate. The Adoptee Bill(s) of Rights would repeal the 1935 legislation that sealed in perpetuity the original birth certificates, and thus the original identities, of anyone adopted in the state of New York. Do read the full post and learn what you can do to help this measure pass! As with many efforts to increase vital records access the voice of the genealogical and family history community need to be heard. Though it’s nice to report on news where access to vital records might be expanded, unfortunately, most of the recent news has been about continued efforts to limit access to the Death Master File et al. Do periodically check the website for the Records Preservation and Access Committee to keep abreast of threats to records access. Do you know of another state where vital records access might be expanded? Editor's Note: There was also a recent post about OH and a proposed bill to open birth certificates to adoptees. Editor's Note: I came across this interesting article -- Adoptee Rights & Access to Their Original Birth Certificates. It brings up a number of interesting points. One which jumped out at me is that until an adoption is finalized, many of the "original" birth certificates were publicly available at the local county clerk's office. Only "after" an adoption did they become sealed or amended. This would be true in a state like NC, where I live, and non-certified copies of vital records are pretty much public record as soon as they are recorded.